Bollywood Latest Updates: Get hooked to the latest and the best of all the trending news related to Bollywood celebrities, movies, latest releases and songs at one place. Here is everything that is ruling the headlines in the world of Bollywood, entertainment, and glamour on June 20. Have a look. 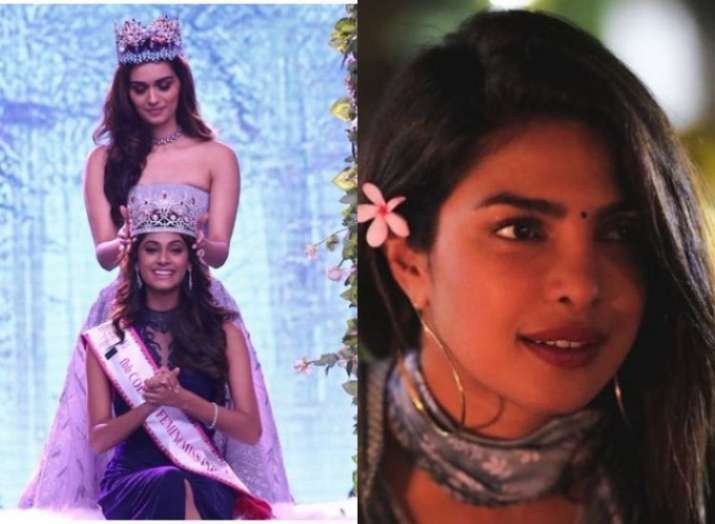 The 55th Femina Miss India World 2018 winner is Anukreethy Vas from Tamil Nadu, while first runner-up is Meenakshi Chaudhary from Haryana and second Shreya Rao from Andhra Pradesh. Miss World 2017 Manushi Chhillar crowned her successor Anukreethy at the star-studded grand finale on Tuesday night in Mumbai at the Sardar Vallabhbhai Patel Indoor Stadium. Actor Rajkummar Rao has finished shooting for “Fanne Khan”, which also stars Anil Kapoor and Aishwarya Rai Bachchan. “And it is a wrap on ‘Fanne Khan’ for me. Can’t wait to share our labour of love with you all on August 3. Trailer out soon. Thank you Rakeysh Omprakash Mehra, Anil Kapoor, Aishwarya Rai Bachchan, Atul Manjrekar and team for this beautiful journey,” Rajkummar tweeted on Tuesday. And it’s a wrap on #FanneKhan for me. Can’t wait to share our labour of love with you all on 3rd of August. Trailer out soon. Thank you @RakeyshOmMehra @AnilKapoor #AishwaryaRaiBachchan @AtulManjrekar and team for this beautiful journey. Global icon Priyanka Chopra is writing a memoir, titled “Unfinished”, which will be published simultaneously in India, the US, and Britain next year. In the memoir, Priyanka said, she is ready to write about her feelings during the course of what has been a fascinating journey. “I have always been a private person, I’ve never spoken about my feelings during my journey but I am ready to do so now. I was raised to be fearless when it came to opinions, and I would like to tell my story in the hopes of inspiring people — especially women — to change the conversation, to shatter glass ceilings. After treating the fans with the news of their collaboration for the actress’ next film, power couple Ajay Devgn and Kajol are all set to come together to support plastic ban that has been imposed in Maharashtra. As a part of their new association, the duo will be seen participating in various initiatives related to the campaign. Vivek Oberoi is no stranger to successes and failures and the actor said that in a world where a person is judged instantly, he tries to take criticism positively. The actor believes that artistes must try to protect themselves from both love and criticism. “The judgement of work for actors is brutal and also immediate. For example, I may not like a certain product, but I will never target my criticism to you personally. There is no hating or loving. But here (with actors), it is all personal. You have to protect yourself. If someone’s hitting you hard with criticism, look at it, analyse it and take something positive,” Vivek said.